WELCOME TO ALGIERS & ALGIERS POINT! Algiers is the only area of Orleans Parish located on the West Bank, and it collectively refers to two main sections – historic Algiers Point, and the more modern Algiers community. Algiers Point is the second-oldest neighborhood in New Orleans (behind the French Quarter), and the most historic area of the West Bank. It is only a short ferry ride across the glorious Mississippi River to the French Quarter and the Central Business District. Of course, one could also take a quick drive across the Greater New Orleans Bridge. Algiers Point real estate offers a wide range of properties with styles similar to those of Uptown New Orleans. Algiers Point was added to the National Register of Historic Places in 1978. For over a century, those looking to purchase historic New Orleans homes have flocked to Algiers Point. 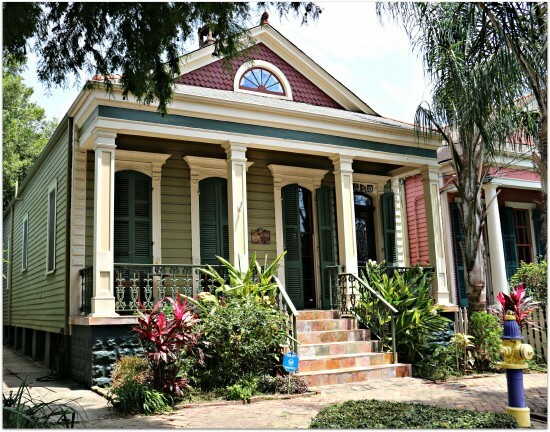 Nestled against the levees of the mighty Mississippi River, Algiers Point boasts traditional architectural styles and the gorgeous century-old oak trees that are a signature of New Orleans. Those looking for Algiers Point homes for sale can find anything from Greek revival homes and renovated Creole cottages to the traditional single and double shotgun houses. Perhaps on of the most attractive features of Algiers Point is the comfortable, quiet feel of the area, even though its merely minutes from New Orleans proper. As one of the areas on the West Bank that is known to be a melting pot of residents, Algiers Point is home to New Orleans natives, die-hard West Bankers, and many newly relocated young professionals. As the city expanded with the opening of the Greater New Orleans bridge in 1958, Algiers expanded as well. New subdivisions were developed to accommodate the population influx. Neighborhoods such as Park Timbers, Tall Timbers and Woodland Heights are still in demand today. Algiers real estate offers a range of affordable properties, and Algiers homes for sale include everything from sprawling mansions to charming ranch-style homes.